There are no self- made persons. We, as human beings, do not have that ability neither will we ever develop it. This capacity to be self- existent, to have one’s origin be one’s own hands can only be attributed to God. While this reference is often used to describe persons who acquired their wealth by hardwork and dedication, that is “a self- made millionaire”, even this is not true. 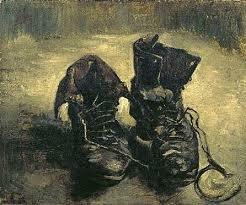 Some one gave us a job so that we could purchase the boots whose straps we pulled ourselves up by. We were not able to pull ourselves up but were pushed and supported by others.We have all been helped by someone even if we choose not to credit him or her. And we are helped by God whether we choose to acknowledge this truth or not. Before theories and hypotheses were constructed to explore the beginnings our existence, we were created. Before the technological advances now used to explain our conception and birth, we were created. Before there were twelve steps to a healthy marriage or seven tools for raising successful children, we were created. Before we knew why we were here or how we arrived, God had already placed us in the earth. Our very existence must be credited to God because if we knew the answers to these questions, then we could consider ourselves self- made. Race, too, makes this claim. We say that it was race that made us and not God. We are this way or that, destined to succeed or fail, because of race. This happened or did not happen because we are black/ white/ red/ yellow/ brown/ beige. We believe that our origin and the purpose of our existence lies in the hands of race. There is no way around it or out of this social position as we cannot change ourselves. We have not made ourselves but race has. And we say that he or she is a “race man” or a “race woman.” These persons identified as such are said to serve as a role model or an example for other African Americans. They are described as a “credit to their race.” But, such language would suggest that this recognition and praise for their character and behavior should be added to or given to their race and not to God. But, it is to God that all glory belongs because it is God who made us, not race and certainly not ourselves.